I am related to you. Who am I ? 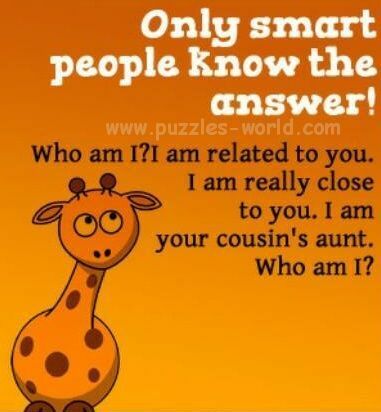 Only smart people know the answer ! I am related to you. I am your cousin's Aunt.